Thirty years ago, July 12, 1986, a young 29 year old New York City cop, Steven McDonald, was shot and wounded by a troubled teenager while on duty in Central Park, becoming paralyzed from the neck down, and defying medical predictions that he would survive. Instantly, the life of this man, his bride of a year, and the baby they were expecting, were all changed forever. Since Steven McDonald grew up in my hometown, lived within 3 miles of my home and worshipped at my parish church, his story deeply touched me and our close-knit community. Little did I know that exactly three weeks later, Aug. 2, 1986, like Steve, my life would be forever changed, when my two oldest children, 21 year old Denis and 19 year old Peggy were killed in a freak car accident. Peggy died instantly and Denis, whom we thought would make it following brain surgery, died four days later, the day after we buried Peggy. Steven McDonald and I would now be joined forever in our quest to have a meaningful life again, both seeking ways to survive and rebuild what was left of our lives. Amazingly, in the summer of 2016 we both marked milestone 30th anniversaries of the horrific events that had stolen many of our dreams, put us on life-changing paths, and validated out choice to choose life. Unexpectedly six months later on Jan. 10, 2017, Det. Steven McDonald died from an apparent heart attack, after spending thirty years as a paraplegic, using his trusty wheelchair for mobility. The baby he and his wife Patti Ann were expecting in 1986 was now a 29 year old NYC police sergeant named Conor, lovingly named after their close friend NYC’s John Cardinal O’Connor. Steve did not give up hope to have a meaningful life again. He did what it took to be part of life. He wanted to be there for his wife and child. He wanted to still be a cop. As his son said, “My dad loved the shield, he loved the uniform, he loved his bosses, he loved the men and women who woke up every day to protect the city.” After spending a year and a half in Bellevue Hospital and the Craig Hospital in Englewood, Colorado, Steve had regained his ability to speak through controlled breathing. Using his voice at his baby’s Baptism, Steven publicly forgave the shooter and became a larger than life symbol of forgiveness and love, moving millions by his example, traveling all over the world with his message. He was a man on a mission for us all to realize that love must win. According to his son, he knew his life was fragile, so he wanted to make sure his time on earth with us was not wasted. His hope of a good life blossomed with his acceptance of his suffering as a quadriplegic and in his decision to forgive his assailant. Grievers want to have a meaningful life again, too. We have to find what it is that gets us out of bed in the morning, keeps us off the couch all day, gives us strength to answer the telephone or to make a social date on our calendar. As I was emptying out Peggy’s and Denis’ wallets, discarding their college IDs, drivers licenses, Social Security cards, etc., I quickly realized I never wanted them to be forgotten, but at the time did not have a clue how I would accomplish that. I wanted them to be proud of me being brave enough to live life to the fullest, and I certainly didn’t want to waste the love I had for them, so I knew I had to search for ways to spread it around. Those ideas got me moving every day. Like Steve, we grievers don’t want to waste anything; we’ve already lost enough. Steve couldn’t do anything physical by himself. He was honest with the situation. His heart and his head knew he needed 24 hour help around the clock and he accepted it. He followed instructions and did what had to be done, hours of grueling exercises, daily health procedures and even moving to a rehab institute far from home which offered to teach him how to speak again. As Mayor of NYC Bill de Blasio stated in his eulogy, “Steven loved life, he loved his family and he loved everything about life and rejoiced in life, even though it wasn’t always easy.” Steve learned fast to be grateful for the assistance that was available to him and to honestly let people know what he needed. Grievers. That’s our story, “It isn’t always easy.” We’re hurting, some of us want to jump into the grave to be with our child or loved one, a very normal feeling we are told. We have to learn how to reach out to others in order to function. In the beginning, it takes time to even know what we really need, what would make us feel alive again. Once we realize our limits, we can have courage to ask others for help, telling them what we need, sharing what is tough for us, and setting realistic goals for ourselves. I ran to the public library and read very book on grief I could find, hoping to learn how to cope and survive from the wisdom of those who had walked this journey before me. Steve. Day by day living taught Steve what he could handle, what were his limits, what he could dream about doing. He read books, took classes, watched videos, searched for leading doctors and health providers noted for work with paraplegics, and shared his thoughts and dreams with his family, friends, and teachers. He prayed, attended mass often, befriended clergy, and never let his pain and suffering get in his way. He was a man on a mission, a man who refused to feel sorry for himself. His gift was his Voice and he used it in a powerful way, traveling all over the world with his wife and aides delivering his inspirational message. Grievers. Every day we search for anything that makes us feel comfortable, gives us a boost, or reduces the pain. We learn to deal with those things that trigger sudden outbursts, unstoppable crying or steps backwards. We discover that there are some things we need to eliminate right now, but could add later on, such as people who won’t stop giving us advice or continually pushing us to “move on,” places that are too filled with memories to visit, social events that are too long or of little consequence. Like Steve, we realize that presently we can’t do everything we used to do, since our energy level is so low following the tremendous assault our bodies have suffered. Thankfully, there are some helpful choices available to us: to seek counseling, to join a support group, to gather wisdom from books that will point the way, to make time for ourselves through prayer, meditation, and journaling to understand the “new” person we are becoming. I tried all of them, all acclaimed stepping stones to the other side of grief. Steve. Learning to speak again took a lot of practice as Steve learned to control his breathing connected to a ventilator. It was a major step in his recovery, enabling him to be an active member of the NYPD again, to enjoy conversations with his family, to spread God’s message of love, compassion and forgiveness with his many audiences, including school children, church groups, police officers, and the disabled. As Mayor de Blasio reminded us at Steve’s funeral, “Directly, he touched millions of lives – tens of thousands of lives – but in a greater way millions were moved by his example – the greatest example of heroism and grace.” Telling his story was his powerful tool. Grievers. Just like Steven McDonald, we find that talking is healing. 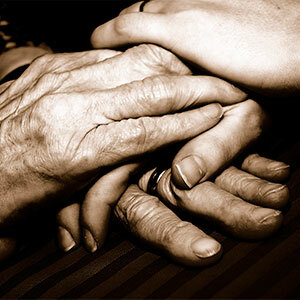 According to the experts, talking is the best medicine for us when we have lost a loved one. Not only does it get feelings expressed, instead of stuffing them down inside to erupt at a future time, but it does wonders helping grievers share and remember their loved one. 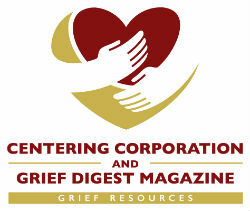 Through all the grief books I read, audio casettes I listened to, bereavement conferences I attended, and other bereaved parents I met, I found my Voice, and as one local newspaper claimed, “became the Voice of the Bereaved,” validated through my work as a Compassionate Friends Chapter Leader, Diocesan Bereavement Coordinator, columnist for Grief Digest, prolific writer and book author, and presenter of keynote addresses and grief workshops. I called it, “Sharing Peggy and Denis with the world.” It all happened so naturally, never planned as an additional career, and brought so many blessings, as Steve and I both discovered. Steve. He was definitely a man on a mission and his respirator and wheelchair did not stop him. He accepted his suffering, praying through rough days and rejoicing on good days, living though the necessary hours of daily routines and health measures to stay alive. He was grateful for his family and good friends and his beloved police department, always by his side. He bravely lived Viktor Frankl’s words, “Everything can be taken from a man but one thing: the last of the human freedoms – to choose one’s own attitude in any given set of circumstances, to choose one’s own way.” He delighted in the fact that he had found his God-given purpose in life - to bring the message of love and forgiveness to a world that desperately needed it. Grievers. We, too, ride the roller coaster of grief, the ups and downs of daily life. We all endure bad days that blindside us, but the good news is those days enable us to feel the beauty of a good day, the love of a dear friend, the magnificence of a gorgeous sunset, and the elegance of a bouquet of flowers. If we are determined to make the best of each day, we can make crisis an opportunity for good things to happen. That’s why so many of us who have lost a loved one have found purpose in our lives through creating foundations and scholarships, working for causes dear to our hearts, volunteering in our community, parish, and schools, or simply reaching out to another bereaved person. We strongly believe, “If their song is to continue, then we must do the singing.” God’s Plan was not mine, but I have come to realize that I am using all the special gifts He has given me in my lifetime, teaching, writing and public speaking, enhanced with a sense of humor and party spirit. I have found the “Purpose” God planned for me - being there for the bereaved. Like Steve, I fell into my Purpose, with no planning on my part and happily discovered many new friends and blessings.